The problem with writing about Bob Dylan is that I can’t write as well as Bob Dylan. When you pause to consider what you might say about an album like World Gone Wrong, don’t make the mistake of reading the liner notes, because it will freeze you dead in your tracks. These liner notes can’t be topped by way of explanation. World Gone Wrong, released in 1993, was a sort of sequel to Good As I Been To You. Recorded in a very similar fashion in his garage, without any over-dubbing or accompaniment, the album was the last on his then current contract with Columbia, and after it he was a free agent. Although it didn’t do much business (peaking at #70), it did win Dylan another Grammy for Best Traditional Folk Album in 1995 (neither Wikipedia nor the Grammys website lists the other nominees, which is pathetic when you think about it – it was the big year for Alanis Morissette and Hootie and the Blowfish won Best New Group. Yikes!). 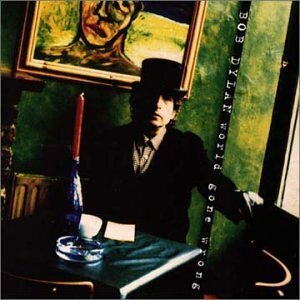 World Gone Wrong is actually more of a blues album than a folk album. It is considerably darker in its song selection than was Good As I Been To You. I like it considerably better than its predecessor, particularly “Blood in My Eyes”, “Jack-A-Roe” and the title track. It is a tired sounding album, deliberately so. The rumour is that all the songs were recorded without even a single change in guitar strings. It isn’t polished (it is an anti-Jeff Lynne album), and there are even some bum notes that most people would have cleaned up and polished off. The album is probably all the better for those minor miscues. Dylan is starting to sound like he’s being recorded in the fields by Alan Lomax, which may be what he wanted. Dylan had been criticized on Good As I Been to You for not properly citing his arrangements of traditional songs, and a series of disputes arose. That album had very little information, but this one has epic liner notes written in a style that would have been at home in Dylan’s records from the 1960s. “Broke Down Engine”, he says is about “the fortunes of the privileged elite, flood control”. “Stack A Lee” is “not some egotistical degraded existentialist dionysian idiot, neither does he represent any alternative lifestyle scam”. 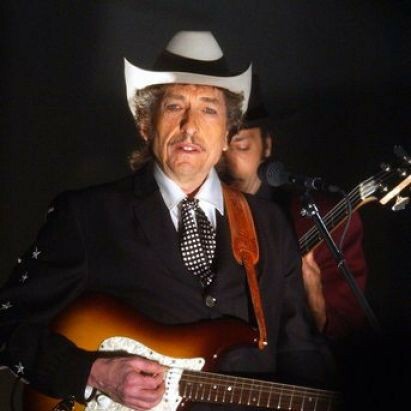 “Blood in My Eyes” and “World Gone Wrong” are credited to the Mississippi Sheiks (who also did “Sitting on Top of the World”, which Dylan recorded on Good As I Been To You). After this album came out Dylan was without a recording contract for a few months,and explored some options before eventually signing a new ten album deal with Columbia (which he is presumably still on, because he hasn’t released ten albums since this one). He won’t release a new studio for four more years, when he gets back together with Daniel Lanois for his next career reviving album, Time Out of Mind. I think that this may be my favourite Dylan album cover, by the way. What a photo!